Iperius Remote is the software for technical support and remote connection to Windows PCs and servers. Thanks to a freeware license and low-cost professional licenses, it is the ideal solution for companies that provide technical support to customers via remote connection. Iperius Remote includes advanced features such as unattended automatic connection, file transfer and the possibility of multiple connections. In professional versions you can have a shared address book of remote computers and contacts, the management of access permissions and multiple operators, and detailed connection statistics. Iperius Remote is one of the tools of the Iperius software suite, essential tools to increase productivity and business security. Iperius Backup, to secure data from faults, thefts and ransomware viruses - Iperius Remote, to remotely control any PC or server and to provide remote support to customers - Iperius Storage, to save your data in the cloud - Iperius Console, to monitor your backups and your IT infrastructure. Want to see how easy it is to connect to your computer or any computer connected to the internet? For remote customer support, teleworking, assistance. Simple and fast! Need more connections or special features? Iperius Remote makes it easy to connect to any computer or server in remote desktop. Simply start the receiving software on the destination computer and specify an ID and password on the one from which you are connecting. In a few seconds you can work remotely on any computer as if you were there in front. With a very simple and intuitive interface, Iperius Remote allows you to send and download files to / from remote computers. The transfer is very fast and optimized according to the types of firewall and network configuration. File transfer is very useful for remote assistance, to send software updates or documents, or to download error logs. 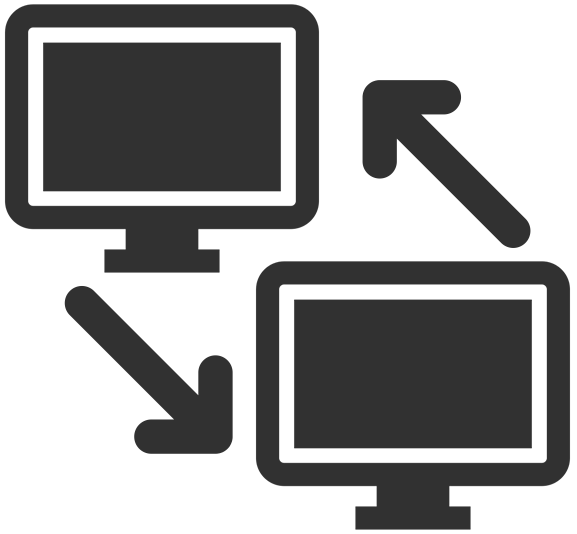 For companies that do remote support, a very useful feature is to be able to connect simultaneously to multiple computers, even from the same location. This allows to optimize the assistance and remote control times. In addition, Iperius Remote can be installed as a Windows service, thus allowing automatic access at any time, without needing confirmation from the other party. Iperius Remote can be used to best organize the work of a company that provides remote assistance to its customers. In fact, it is possible to create multiple operators, each with their own account, and assign viewing and connection permissions to them. For each operator it will be possible to consult the statistics of the connections made. The licensing mode of Iperius Remote is very simple, and created to facilitate the work of companies. With a single license it is possible to connect to unlimited destination computers (the limitation exists only in the number of concurrent connections that can be kept open). Furthermore, two or more operators can connect to the same destination computer simultaneously, even with different accounts. Iperius Remote is the only remote connection software that allows you a total rebranding: you can change the name of the executable file, the icon, the name of the software and the information inside it. You can also preset many options. Each company can therefore have its own remote support software, with a very positive return in terms of corporate image. A very important function for those who provide remote assistance services is the possibility of having statistics of the various connections, so a report that allows administrators to evaluate the times and costs of each assistance. Statistics can be viewed by operator, group or computer, and for a specific range of dates.